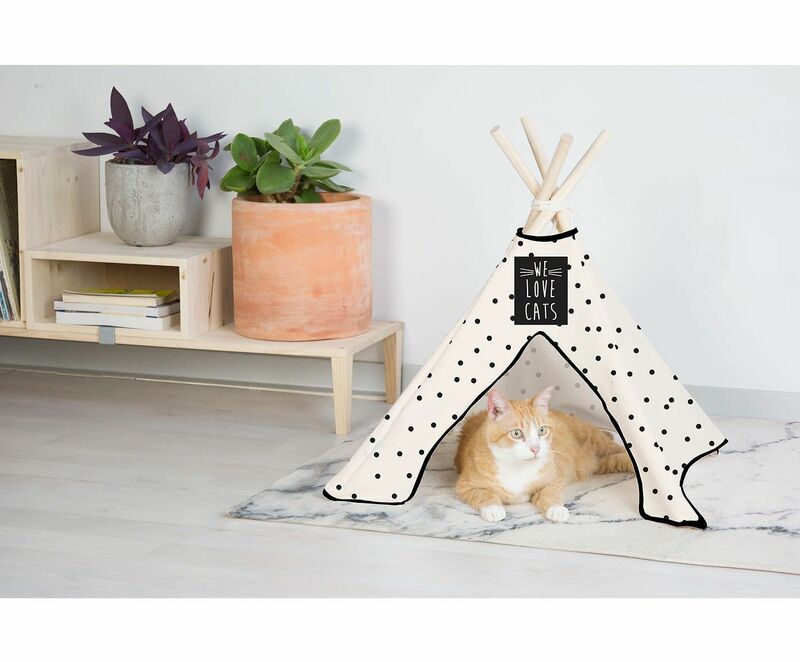 As a proud owner of 3 cats and 2 dogs, I know how hard it is to keep a microapartment organized and neat when you have pets running all over the house. But what about mealtime? For pets, one of the highlights of their day is feeding time. On top of filling their little tummies with food, feeding time is an opportunity for your furry friends to bond with you! For the style-conscious homeowners like yours truly, finding the perfect place to keep the pet bowls is challenging. 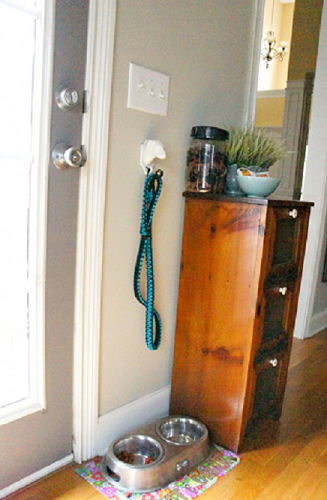 Dealing with limited space can be frustrating because there’s barely enough room for the pets dishes. Also, the food bowls have to be kept out of the way (and ideally out of sight) to maintain the look of the living space. 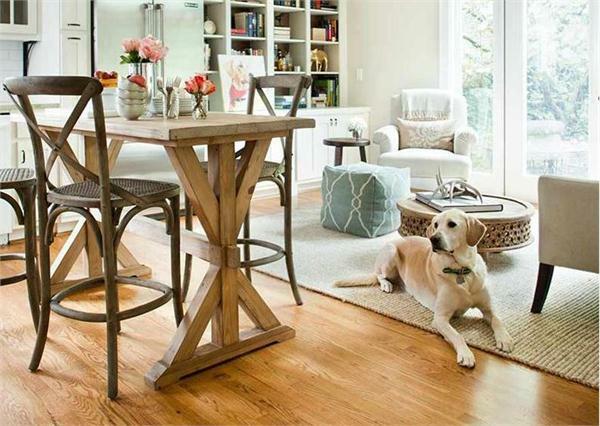 So, how do you keep a pet-friendly home when space is at the premium? Strategic food dish placement. Now before we get started on placement, let’s talk about the best food bowls for cats and dogs. Unless you’re a new pet owner, you know that the size, style, and material of the food bowl must be suitable to the breed and size of your pet. Cats are low maintenance so simple small to medium-sized stainless steel food bowls that sit low on the floor will do for your feline friend. But for dogs, especially large breeds, that’s another story. Dogs are prone to digestion problems and they have a tendency to eat or drink too fast. That’s why a dog’s food or water bowl should be elevated so it’s closest to the pooch’s snout. This way, your pooch can eat or drink in peace without straining their backs or gagging. The size of the food bowl is also important if you’re a dog owner. It should be wide enough so your pooch can freely eat or drink without getting food and water everywhere. Generally, dogs drink about 20 ml to 40 ml of water per pound of body weight. A 20-pound dog will drink about 3 to 4 cups of water daily so the water dish should hold about 4 to 8 cups of water. On the other hand, the food dish should hold at least 2 cups of dry food. However, the size of the food dish will depend on how often you feed your canine friend. 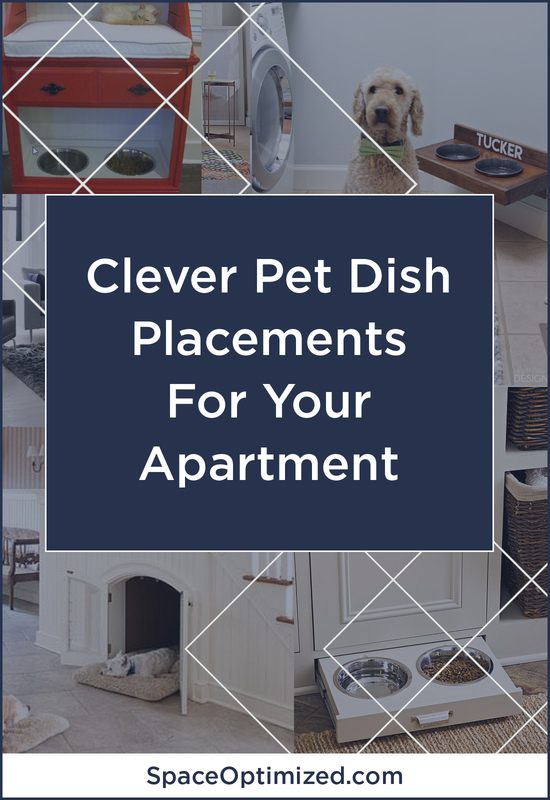 Pet dishes come in an array of materials including plastic, stainless steel, and ceramic material. The best material for pet dishes is always stainless steel because it’s durable, non-porous, and easy to clean. And unlike plastic material, there’s no danger of toxic chemicals seeping into your pet’s food over time. Plastic is also flimsy so it could develop jagged edges or splinters that could hurt your beloved pet. On the other hand, ceramic is a porous material so it’s prone to contamination. 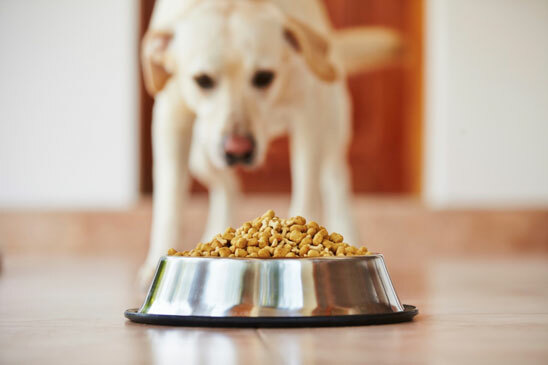 Click here for more buying guide and tips on the perfect pet dish for pets. The placement of the pet dishes is important when space is an issue. Personally, all my cats’ food and water bowls are set up in the kitchen, just a few steps away from the fridge. Why? The kitchen is my cats’ favorite place to chill (mine too, heh) and I just felt that it’s the perfect spot for feeding time. That, plus water and kibbles are so accessible in the kitchen. Back when I was caring for a single cat, the pet dishes were set up near the counter because it’s accessible and it made sense the way my microapartment was designed. The placement isn’t as discreet but I don’t trip all over the pet dishes. Setting up the pet dishes near the counter is also practical because you’ll never forget to give your pet a fresh bowl of water every time! 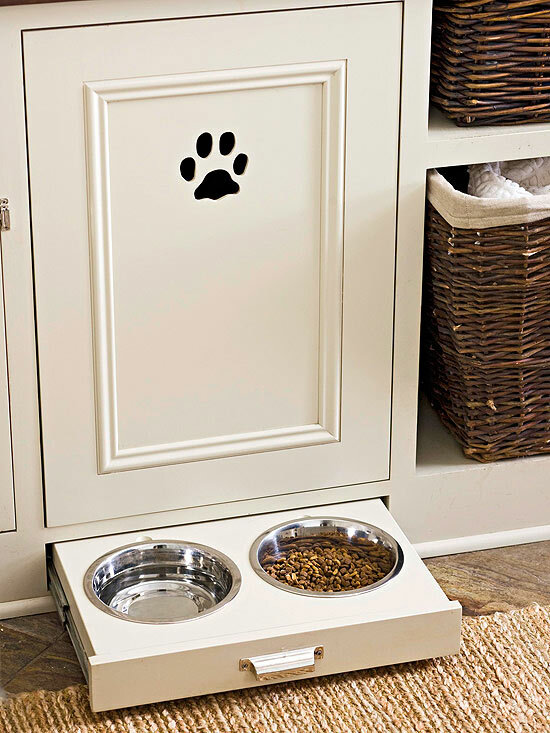 If you’d like to set the pet dishes near the counter but you’re not keen on leaving food down for your pets all day, consider getting a nifty pull-out food station instead. 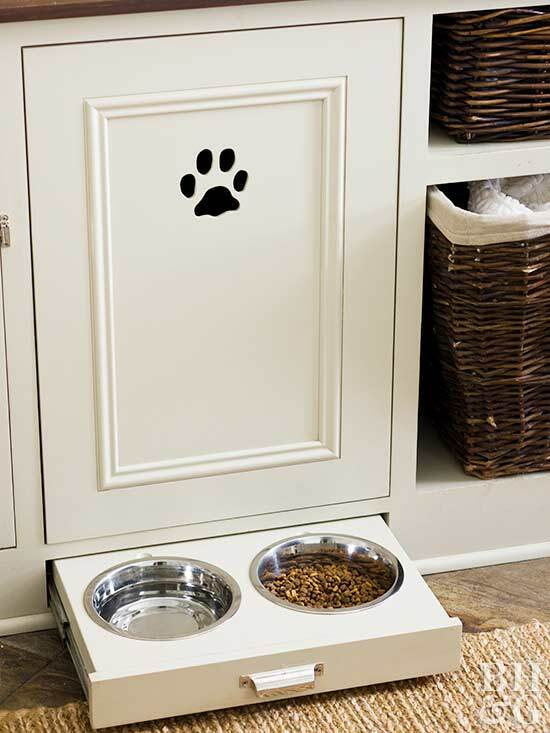 This is a pet feeding station with a sliding bottom drawer that reveals the dry food and water dish. This is a great feeding spot if you have a single pet because it’s discreet and accessible at the same time. Just make sure the pet dishes are compact so you don’t accidentally knock the kibbles over. I’d give my cats customized feeding stations if I could. Unfortunately, I cannot afford to lose any square footage at this point. But if say, you’re caring for a single pet or you have more room to spare, why not get a customized feeding station for your furry friend? 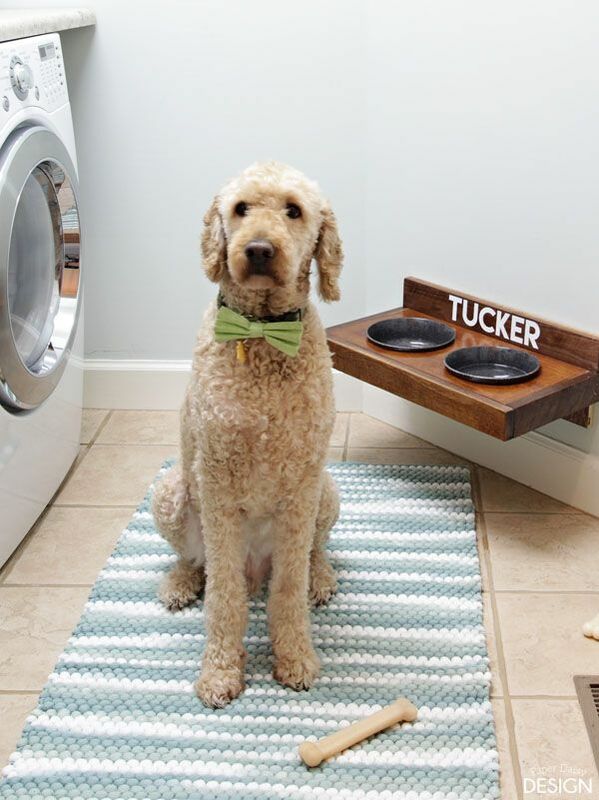 A customized feeding area is one way to care for pets in style. You can get a bespoke feeding station or turn an old desk into one, DIY-style (tutorial here). Then, choose a designated spot for the feeding station and you’re ready to spoil your furry friends rotten. If there’s a free spot under the stairs, you can turn this area into a designated feeding station + sleeping area for your four-legged friend. Unless your microapartment is being remodeled, simply place the food and water bowl on this spot, no extra styling needed. 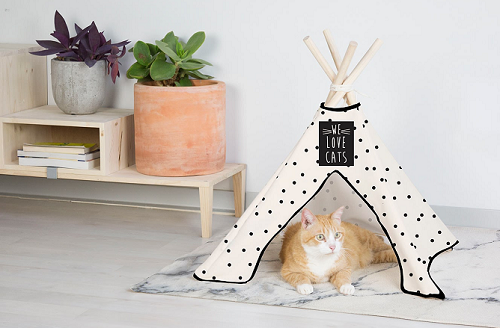 You could throw in a pet bed and a couple of toys to create a cozier space for your pet too! 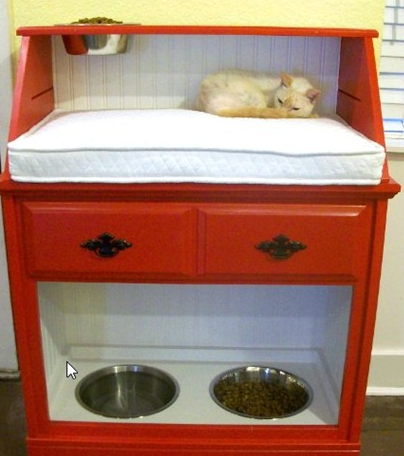 The laundry area makes a surprisingly convenient feeding spot for your cats or dogs because it’s discreet and quiet. You’re also less likely to trip all over the pet dishes because they are kept hidden from the main living area. Since your pets have all the space to themselves, they can enjoy their food in peace even when you have friends over.